I like numbers. This is why I often sneak into my flickr account and look at statistics. I have had an account for almost 8 years and there has beeen som 230000 views of my almost 8500 photos. And the more photos I put up - the more views I get. 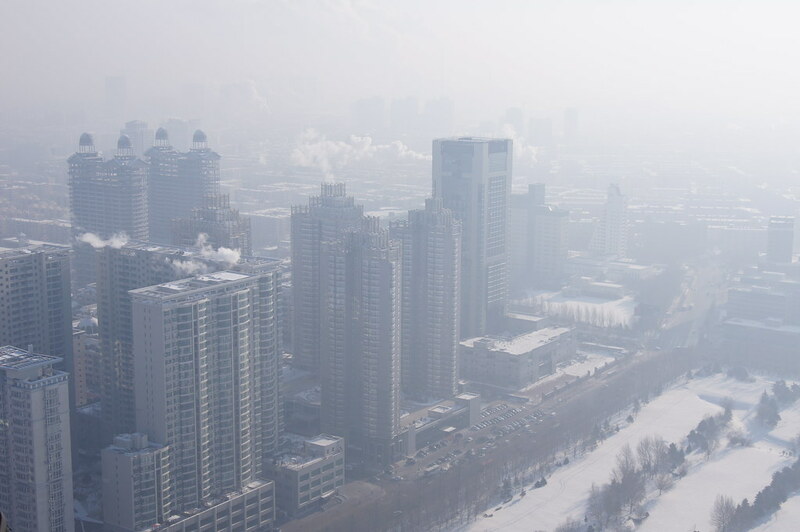 The other day I got interested in a peak on 30th of october with 1622 views and I found out that a picture (shown above) I took from the dragon tower in Harbin (China) last christmas had been used in a the verge post about the chinese smog problem. Fun! I really liked the dreamy views from up the tower created by the cold -30 degrees celsius and the coal factories. Cold and cool…. Another shot I am happy with is this night time view of the main railway station in Harbin. Some more photos from our days in Harbin including many of ice sculptures. From Harbin we got to Beijing by train. 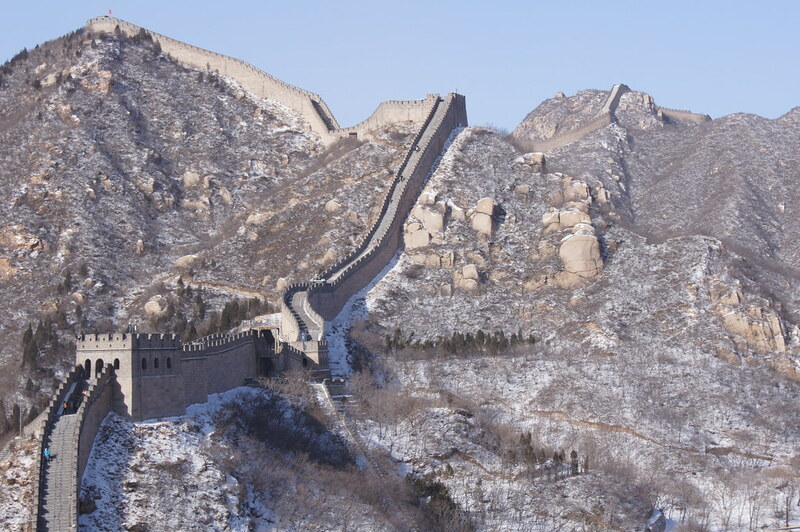 We only had two days there but still enough to get a good view of the forbidden palace and the wall. We had some luck with the weather the day when we went out to the wall - cold and sunny! Our visit to the forbidden palace was in very cloudy weather so no nice pictures from there. Night time in the old parts of Beijing on the other hand is something extra. It is rather dark - not much street lihtning but you still fell safe. Probably because there are much people around. 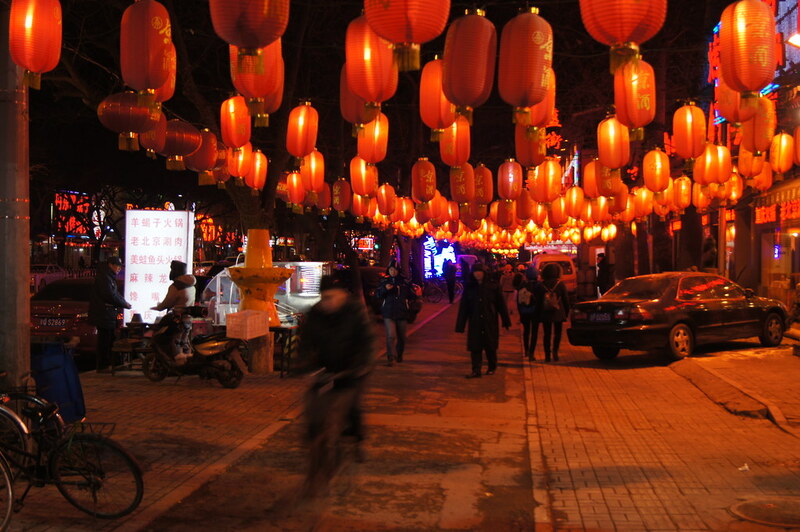 The photo below is from a restaurant street where we had some nice hot pot! For more chinese goodness you can browse all my photos from China.